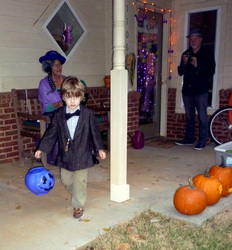 I told my son bow ties were cool, and that clinched it. 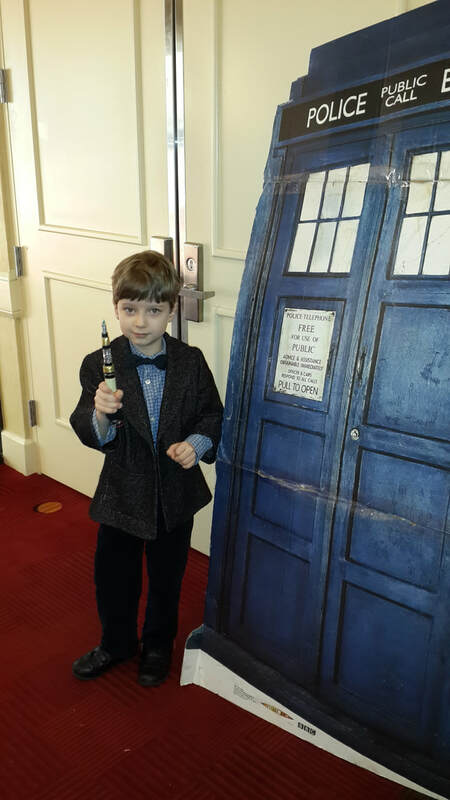 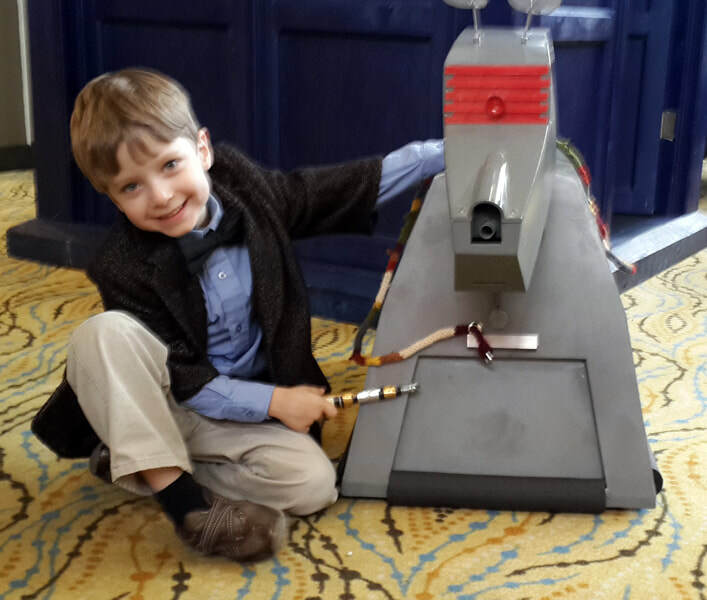 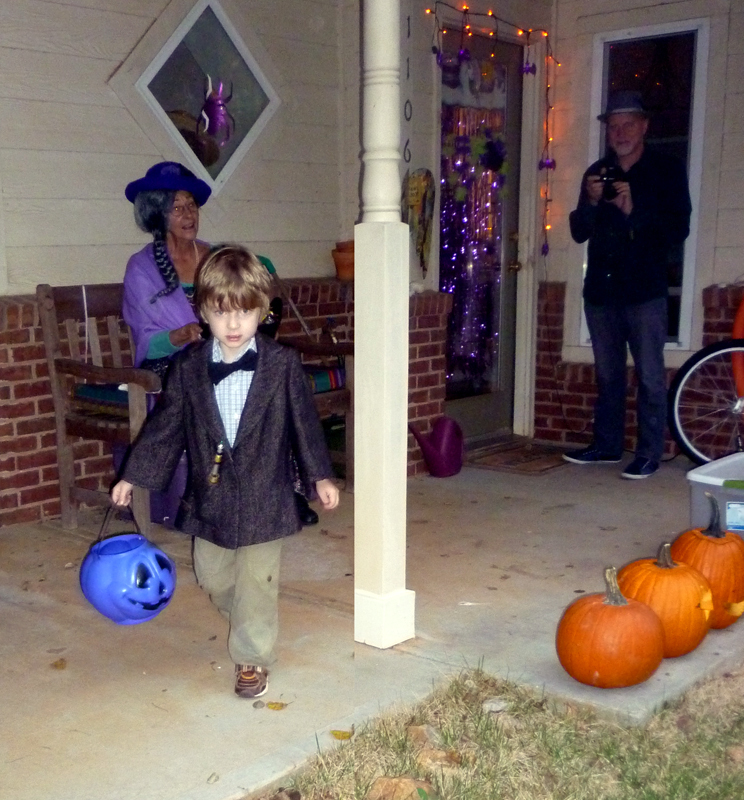 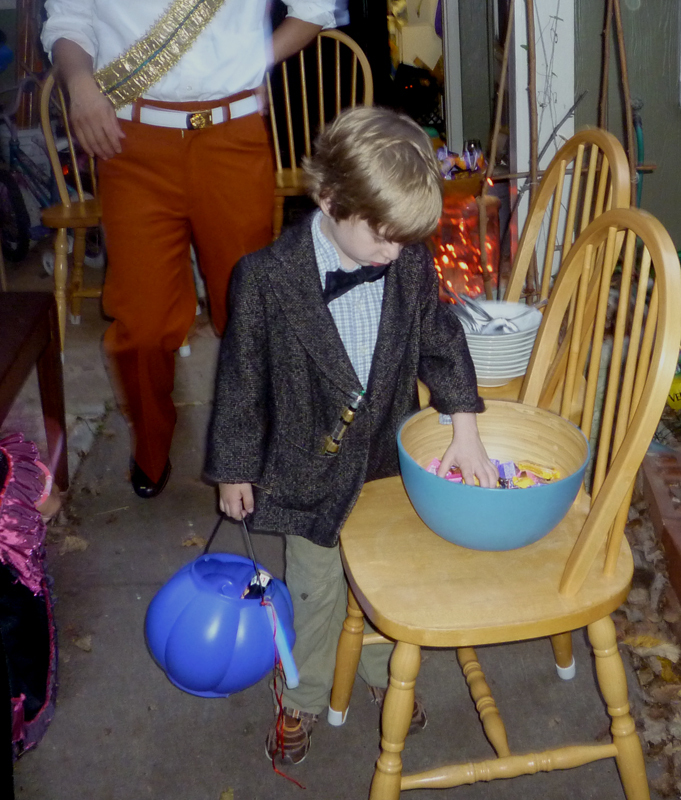 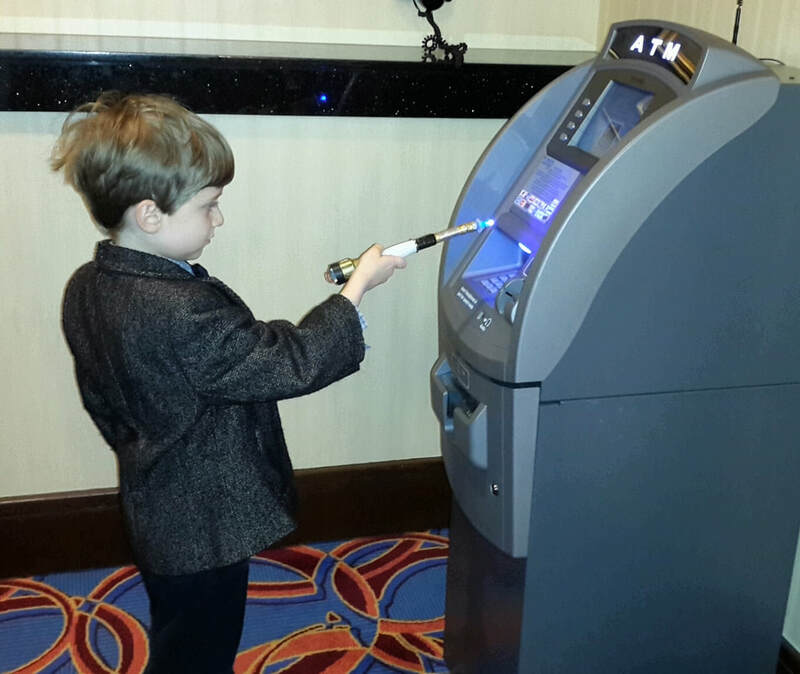 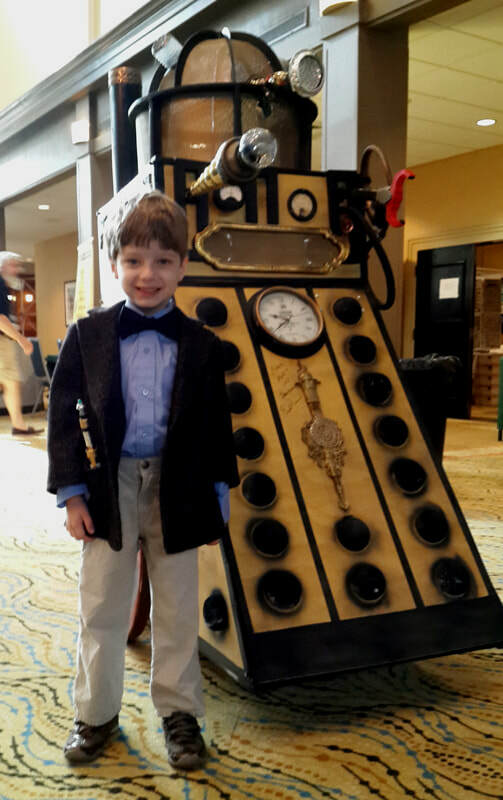 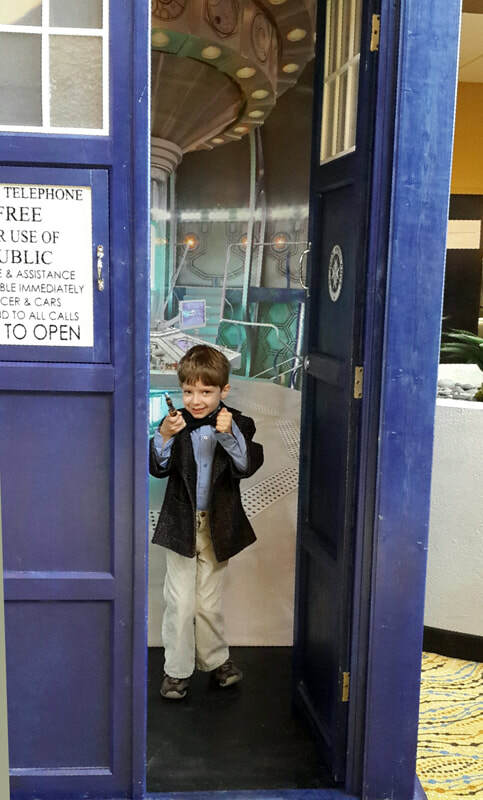 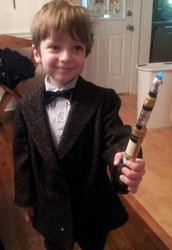 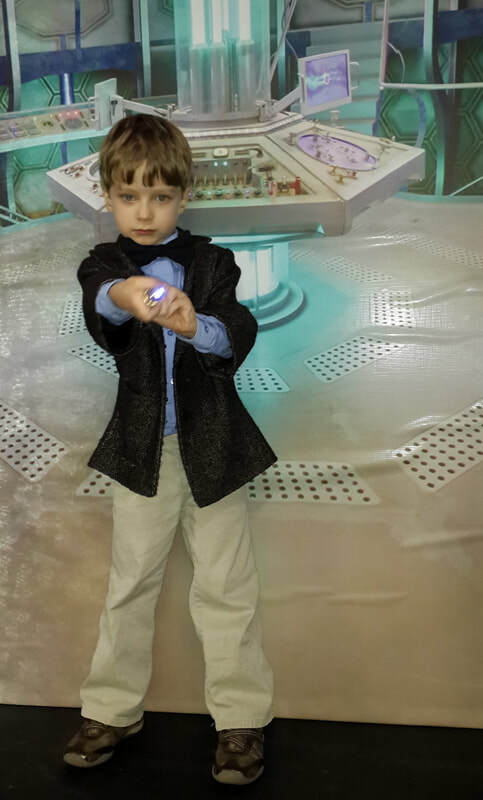 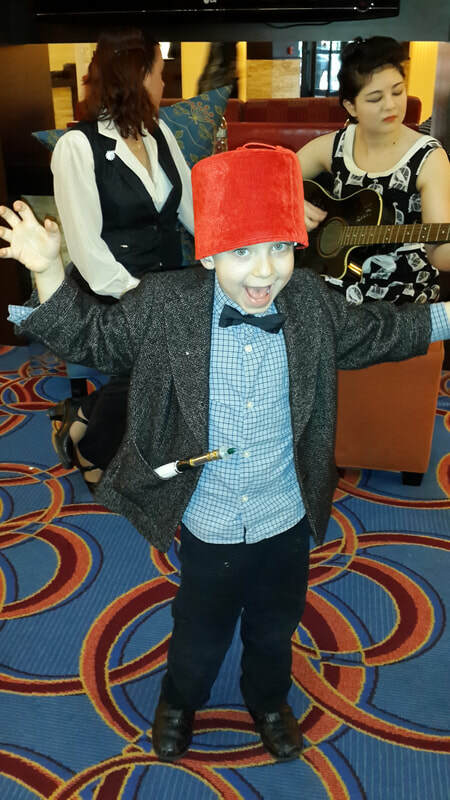 He had to be Doctor Who for Halloween. I cut down a lady's size 4 bolero jacket, and made the bow tie out of grosgrain ribbon. 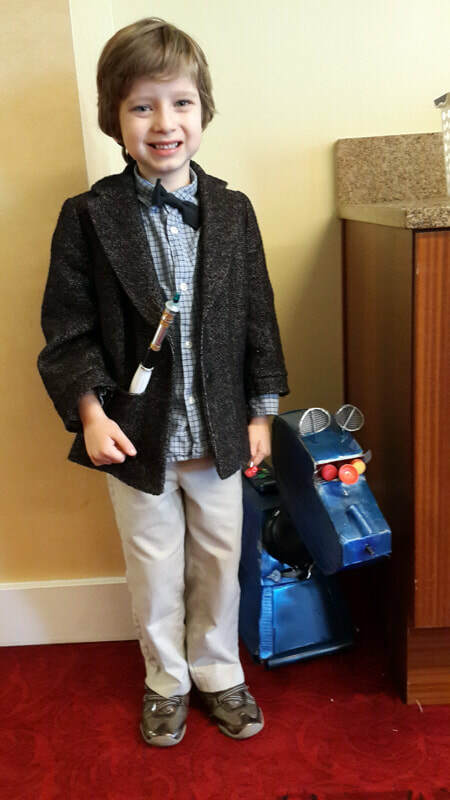 The sonic screwdriver is cobbled together from old pens, an LED light wired to a coin cell battery case, and a whole lot of gold duct tape. 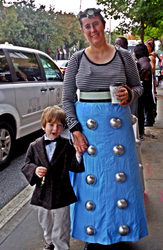 And of course I had to be his Dalek sidekick. 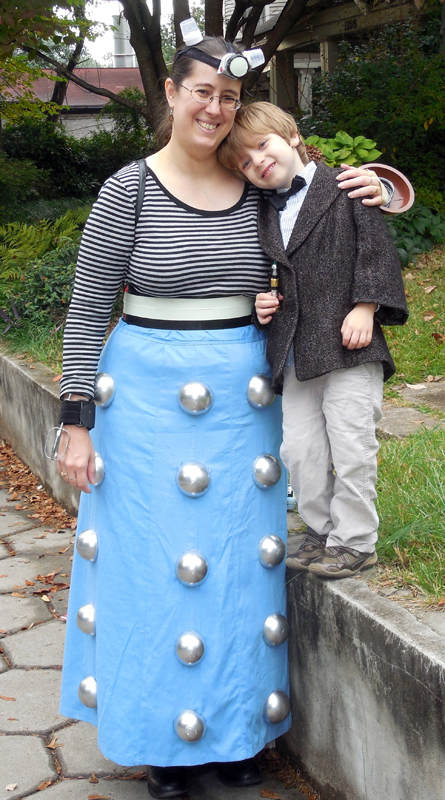 The round bits on the skirt are ball-pit balls cut in half and spray painted silver. 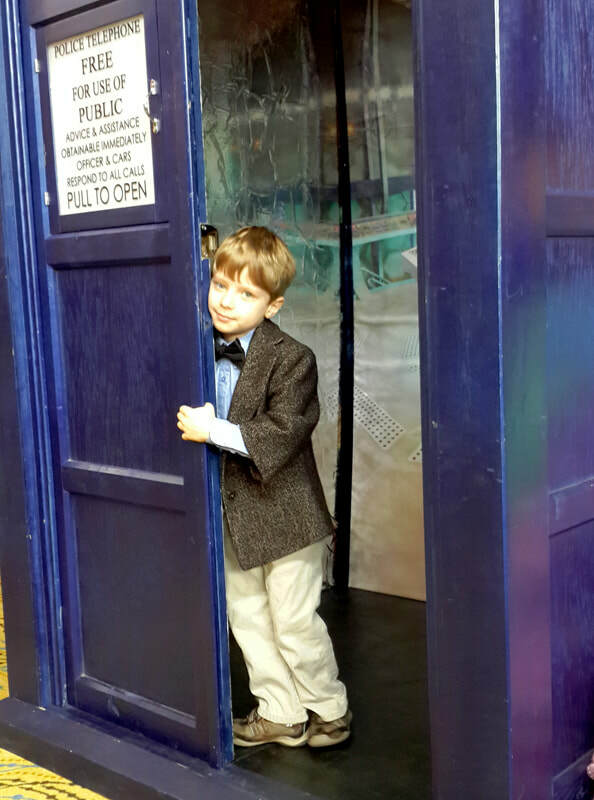 They were surprisingly effective, though if you look at them very closely, they all say "PlayHut/Made in China."